Payment enabled charging stations allow users to pay at the station. Beautiful yet built to last, the CT4000 family of charging stations sets the industry standard for functionality and aesthetics. A robust cord retraction system comes standard to eliminate unsightly cords on the ground, and to keep your drivers from having to touch charging cables. The full motion color LCD display instructs drivers while supporting dynamic updates of custom branded videos and advertisements. The CT4000 family is available in wall or bollard mount configurations and other options. 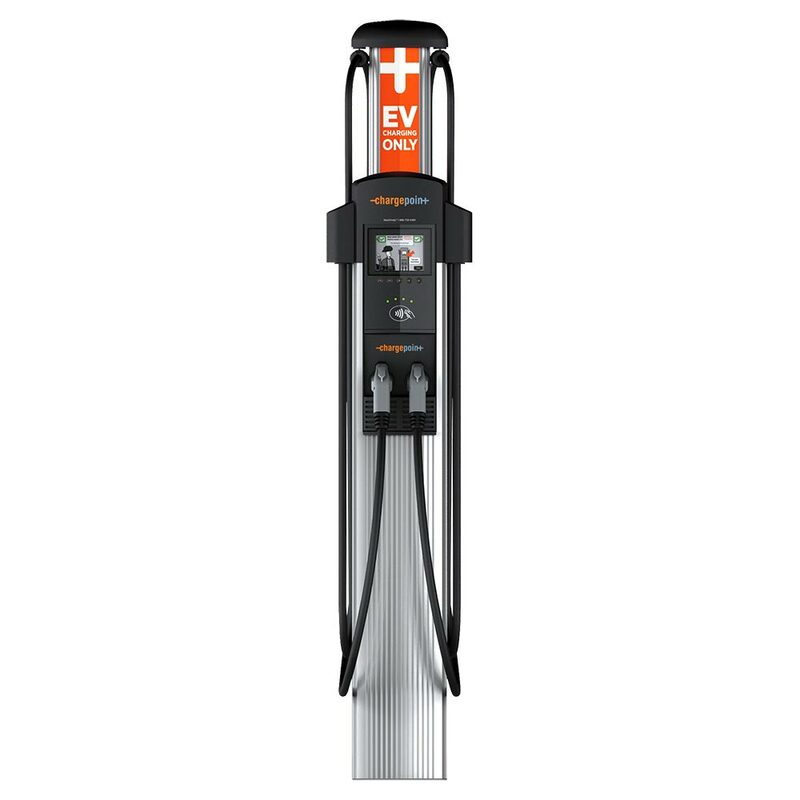 Click here to see all ChargePoint 4000 products. 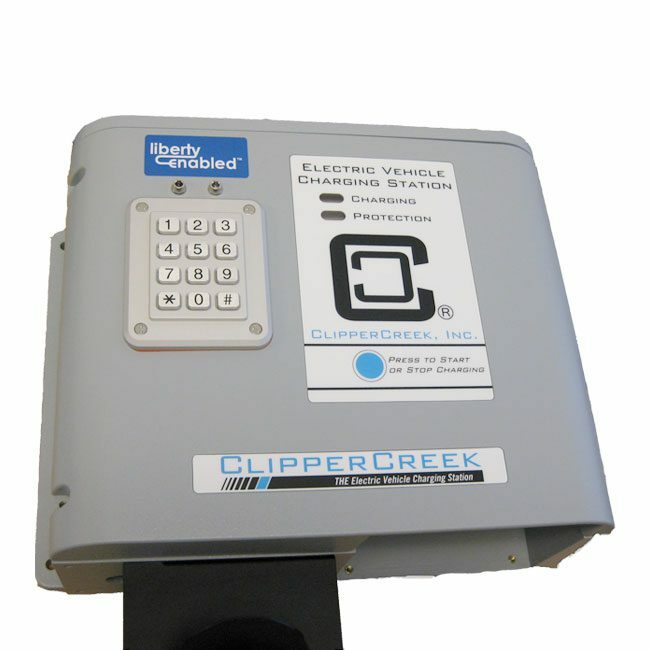 ClipperCreek’s CS series of charging stations now come with synchronous management from Liberty PlugIns. This unique system can be used as a simple access control or as a billing system for reimbursement of charging costs. Access Control–access codes generated at predetermined intervals (monthly, quarterly, yearly). Online Managed Account – users get codes delivered directly to their cell phone. Public Access Management– allow users to register an account online and bill their credit card for use of the charging station. 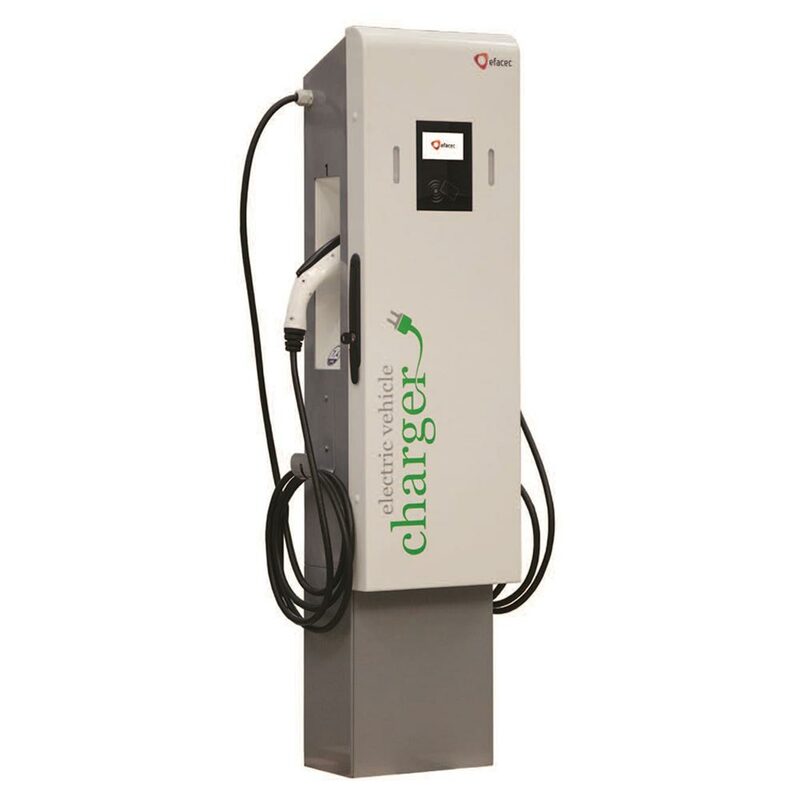 Using simple installation procedures and requirements, the Efacec EV-Public charger can be wall-mounted or pedestal-mounted, allowing versatile installation options.